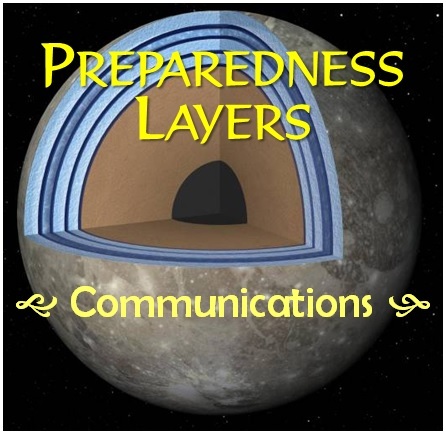 In the previous articles in this series I introduced the concept of “layers” in relation to emergency preparedness. I explained how you can address risks/threats associated with emergencies, disasters, and grid-down by layering your preps to mitigate each specific threat/risk. I also went into detail of defensive and medical layers to mitigate threats and risks for yourself and your home. If you didn’t read the earlier articles I would suggest that you do, it will make this post much easier to fully understand. What are we trying to accomplish when we talk about communications in relation to being prepared for emergencies, disasters, and grid-down? Simple, we don’t want to lack information of whatever is happening, whether with our family members, congregation, community, or the world. Remember, you and your family are in the center of concentric circles representing layers of acquiring and maintaining communications. Let’s start from the inside circle and work outwards. This particular area of prepping is slightly different from those that I have already talked about. It is a minor difference but it does vary slightly from my core principles in a way. But, not to worry, the world is not coming to an end because I didn’t keep 100% integrity of my prepping principles. I will still be 99.99% compatible. Normally I would talk about communications capability for an individual first, making it very personal. But, it this particular instance there is a small twist to it and it has to do with SA. 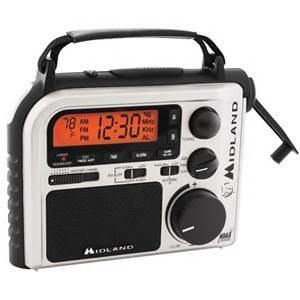 I believe the #1 priority in the area of communications is an emergency multi-band radio. No, not some big Ham radio rig. And no, not a transceiver type rig. But simply an emergency radio that cover the AM/FM radio bands, the TV bands, and shortwave. With a basic emergency radio such as that you can get information on what is happening either locally, nationally, or globally. Gaining and maintaining high quality SA during emergencies, disasters, and grid-down is absolutely essential. And yes, the emergency radios that I am talking about have multiple power source capability; AC, battery, rechargeable battery, and solar. The radios with the additional hand-crank option are best. The radio isn’t much good if it loses power and can’t receive anything, make sure you have multiple and redundant power source capabilities. So once that priority is met, then we can move back to the more conventional “layers” of communication capability. That being the case, we need to have a cell phone. No, I am not joking around. Cell phones have their place in this area of prepping. 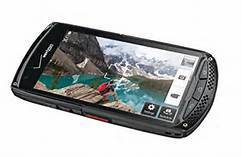 Cell phones can even function much like the emergency radio mentioned above; at least until the cell towers go off the air or are commandeered by government response agencies. Cell phones give each member of your family or group the ability to communicate with another individual, or the entire group at once. You can even get personalized “alert” messages keeping you up to date on events. But as I mentioned just a minute ago, this option only works as long as the cell towers stay up and the cell system continues functioning. Which, by the way, in any serious disaster won’t last long. Where do we go from here? 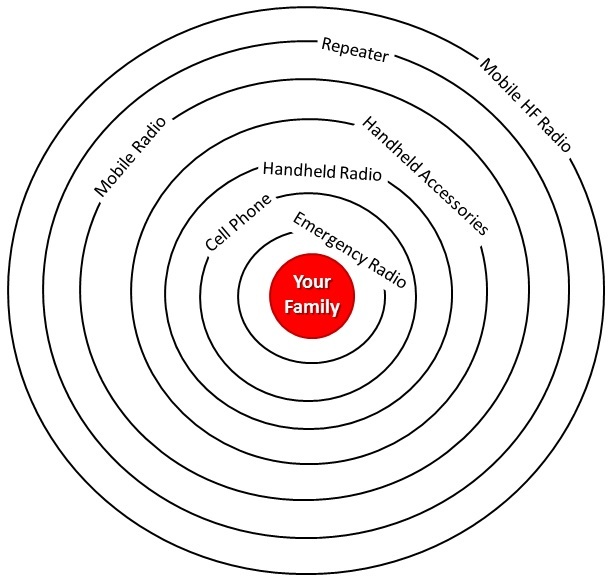 We bump out to the next concentric ring…personal hand-held radio. Why? Come on…you should know that by now if you have been following this website for any length of time. The single common denominator to all wildland firefighter casualties is “communications.” Sometimes it is bad information, sometimes it is complete lack of information, and sometimes it is bad hardware. But, communication issues are always present. And, based on my own military experience, I would say it is the same in the military as well. So, what does a person do with a single hand-held radio? They communicate with all the other members of the family or group who also have hand-held radios. Let me paint this picture for you parents…There is a disaster occurring, things are bad, you have left your home, you are trying to find a shelter, and it is the middle of the night. Then you find yourself in the situation that you can’t find your spouse or one of your children because they became separated from the family. Somehow they got separated and you can’t find them. Now what? If you have implemented a good radio plan in your family or group, you just pick up your radio, make sure you are on the right channel, press the PTT button, and ask them where they are. Very, very simple. But, what happens if you don’t have that radio to contact them? Or, they don’t have a radio to hear you calling them? I advocate that each member of your family have their own hand-held radio. OK, let me clarify…any family member that can talk, walk, and use multiple syllable words should have their own hand-held radio, and know how to use it. Now, you might be asking, what kind of radio? Great question, couple different answers. But, one I believe to be the best option. 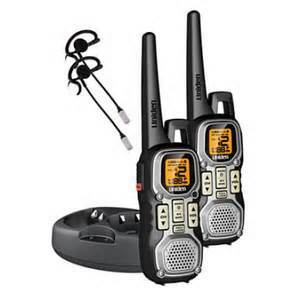 First – FRS/GMRS/MURS radios are acceptable but not preferable. 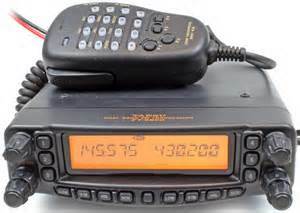 There is a great article that talks about FRS/GMRS radios that is well worth the read. But I am suggesting that you use a full-blown, hand-held Ham radio. And the most economical little powerhouse hand-held Ham radio on the market today is the Baofeng UV-5R. Okay, so what! In times of emergency I want the best possible affordable option for my family. 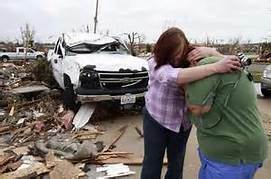 I am thinking that no FCC Gestapo agent is going to hunt down your 5-year old and haul them off to some FEMA reeducation camp for using a portable Ham radio to find his parents during a disaster. Well, under our current president it could be a real possibility. 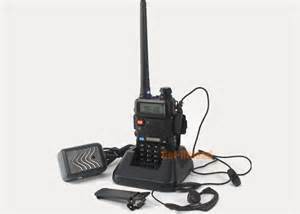 But, remember those Baofeng radios can also be programmed with the FRS, GMRS, and MURS frequencies as well. And you can find some obscure out-of-the-way 2m or 70cm frequency to use as a family . Any way you want to look at it I am an advocate of a full-blown, real-life, hand-held Ham radio for each family member. So we’ve covered the inner two layers of communication. Where do we go from here? Dual-band, magnetic mount, vehicle antenna with adapter cable and remote speaker/mic. Add to that a 12vDC vehicle power adapter. This gives you the ability to increase the height of your antenna for longer range communications. And, it also gives you the ability to use from inside your vehicle. The charger and adapter allow you to take advantage of the vehicle’s power vs. the unit’s battery itself. Now I want you to add a longer life 3800mAh battery. The radio comes with an 1800mAh battery. Under normal conditions and usage you could expect the battery to last about 1 – 2 days. The 3800mAh battery will drive that to 3 – 4 days of usage. And since you have a charger that can now work with normal house current or from a 12v car battery you should be able to maintain your radio’s power virtually indefinitely. So now you can reach out and communicate with people outside of your immediate group pretty well and while traveling. But we need to push it out again. Next step in layering communications would be a mobile radio. Hand-held radios normally operate at 5 watts or below. Mobile radios normally operate in the 35 – 50 watt range. That is a 7 – 10 times increase in power. And that my friend, drastically increases the range you can transmit and receive. I am a big supporter of Yaseu radios. They are top quality radios, none better in my option. They are also reasonably priced. For the best all-around emergency/disaster Ham radio application I have to say it is hard to beat the Yaseu FT-8900R. It covers four bands with serious power and reliability. 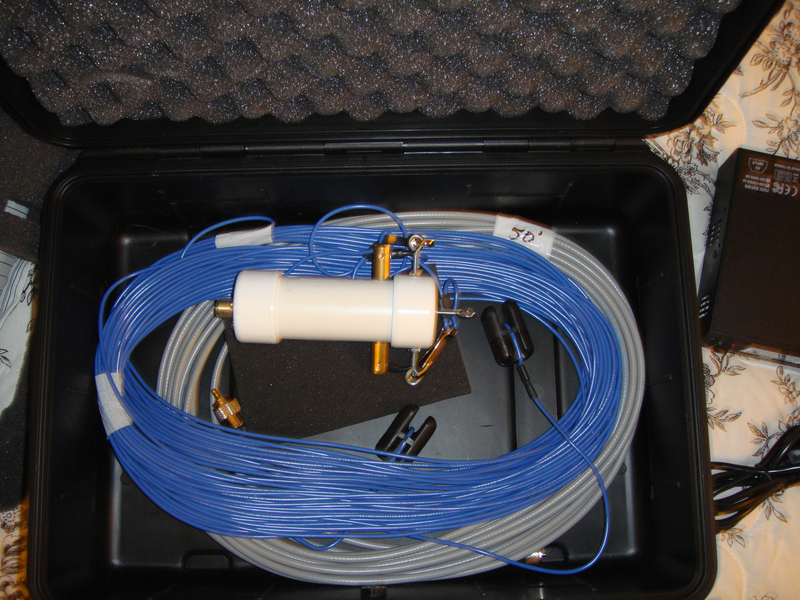 In addition to covering the popular 2m and 70cm bands it also covers 10m and 6m as well. And that small slice of HF is really nice for a tech license. This step reduces the portability factor requiring a vehicle to transport but adds considerable operational capability. We’ve pushed the enemy (lack of communication) further away from us. We’ve deepened our “layers” giving us more capabilities. Transformer to convert house current to 12vDC. 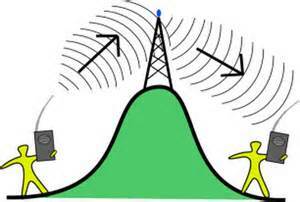 Antennas – one for working in a fixed location and another for vehicle operations. Adapter to use vehicle power to run the radio. 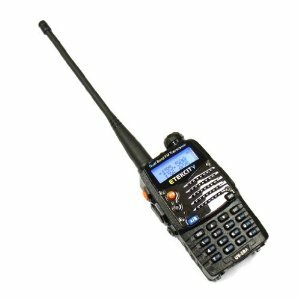 The FT-8900R is a serious piece of radio equipment that gives your family or group that added layer of communications capability that can make a huge difference, and give you the advantage. But we can push it further still. So we have covered a lot of ground so far; ability to receive emergency information, ability to communicate among your family or group, the ability to really reach out to communicate with others over relatively long distances. But what about communicating with your family or group members with just the hand-held radio over longer distances or rougher terrain? Here is where I throw you a bit of a curve ball. I think most prepper experts would go with a longer distance serious HF base station rig. And I won’t call them wrong. I will just say they are very wrong! Yeah, me, I have a strong divergent opinion…go figure. Some would advocate that you need to be able to talk to folks in other cities, states, countries, and maybe even on other continents. I on the other hand have a fixed, commonsense set of priorities. The #1 of which is “life safety” which means to stay alive. My point? It would be great to talk to folks in Australia, but what if you couldn’t talk to your family or group members on the other side of a hill ½ mile away on their handhelds? Now remember, handheld radios are line-of-sight; you can’t talk through a mountain, you have to basically have a straight line between you and the other radio. In my way of thinking, talking to Australia would be cool; maintaining communications with my family or group would be a much higher priority. With that being said, where am I going with this? Don’t get all freaked out that we just went with some complicated piece of equipment that cost thousands of dollars and a tech-nerd to operate. That is simply not true. Repeaters are easy to buy, set-up, use, power, and maintain. How can I be so confident? Simple, a repeater is just a mobile radio with an added feature. And a simple programming operation to the handheld radios. It is really easy, I talked about it in an article some months back. For about $500 you can get the radio, put together an antenna, and then just add a battery and solar panel to get your repeater up and running. But we drastically reduced the portability factor unless we have a large truck with lots of space to carry all of this equipment when we bug-out. But there is a tremendous increase in operational capability reducing the chance of failure by communication. The last piece is now the big HF rig. Well, almost “big” but that is relative. I like HF rigs and they have their place to be sure. When some people talk about HF rigs you envision the stereotypical Ham nerd in a room full of equipment, and a yard full of huge antennas. And you would be right for the most part. But, that is not the picture, or the kind of operation, that I want to plant in your mind. I am always balancing cost vs. benefit when I look at prepper gear and equipment. HF radios are no different. Notice the term “field” in the mission statement? I want this bad boy to be an asset wherever I go, I don’t want to be limited to a fixed location like a Ham radio room at the house. Portability is a big factor in my decision. 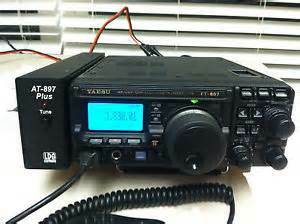 To accomplish the mission my research and personal experience turned up the Yaesu FT-897D to be the best choice. I won’t go into all the details but you can read about it in the review I did on the radio. Battery to run it in the field. For all intents and purposes this concludes the communication section. I could push it out further with different types of specialty radios or the large HF base station rig. But I feel that for 99.3564% of all preppers and their applications, this covers the layers just fine. By layering your communications preps you ensure that you have personal communications, and you can reach out to other communities. Yes, you even have the capability to reach out world-wide if needed.